Councilor Taylor was elected in November 2000, and currently serves as Chairman of the Finance Committee. 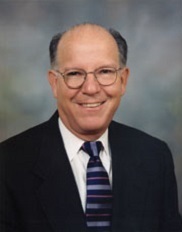 Prior to his service on County Council, Taylor was a member of the SC Reinsurance Facility Board of Governors, the Tri-County Technical College Advisory Committee, Greenville County Election Commission, Greater Greenville Chamber of Commerce Governmental Affairs Committee and The Headquarters Recruitment Committee, the Greenville Memorial Auditorium Board, Advisory Council on Educational Statistics for the US Department of Education, and the Greenville City Zoning Board of Appeals. A native of western Pennsylvania, Taylor came to Greenville in 1958 to attend Bob Jones University and has lived in the district since that time. He received a BS in mathematics from Bob Jones, an MA in mathematics from Penn State, a Ph.D. in mathematics from Clemson University, and an MBA from USC. He retired from Bob Jones University in 2013 after 50 years of employment with the last 29 years serving as an academic dean. He has also served a term as President of the Alumni Association of Bob Jones University. He has 3 married children, 12 grandchildren, and five great grandchildren.